Non-Disclosure Agreements. Immediate Download. Legal Made Easy. NDA templates used to protect propriety information disclosed to another party. Protecting your proprietary information is paramount for all businesses. Whether that proprietary information is in the form of customer lists, product designs, software, technology, protection in the form of a non-disclosure agreement is essential. Non-disclosure forms are a subset of confidentiality agreements that tend to be slightly more focused in their objective and are more frequently used in business dealings. These attorney-prepared Non-Disclosure Kits are specifically designed to provide an array of properly drafted agreements that protect your products and business. 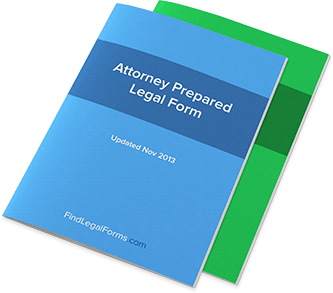 These Kits contain the tools and model legal forms to tailor to your needs, including mutual non-disclosure agreements, unilateral non-disclosures and more. Amendment to Confidentiality and Non-Disclosure Agreement This Amendment is for use when amending an existing Confidentiality or Non-Disclosure Agreement. Nondisclosure Agreement with Merger Candidate This Nondisclosure Agreement with Merger Candidate is between two companies who have discussed merger and now desire to share confidential information. Non-Disclosure Forms Combo Package Get 6 forms for just $39.95. Save 57%! A complete package of our Non-Disclosure Agreements (aka Confidentiality Agreements). When two parties get involved in a business transaction and at least one of those parties knows they’ll have to share valuable information, the act of requesting for non-disclosure becomes necessary. Non-disclosure simply means to avoid sharing that information – and it’s the priority of those who have information they don’t like being shared. In order to make sure this happens, one party will usually suggest signing a contract, typically a Non-Disclosure Agreement. Through this agreement, one party agrees not to share information learned throughout the two parties’ interactions and transactions. But there are more non-disclosure documents that help ensure private information is kept private. What type of Non-Disclosure Agreements are there? Each of these agreements serves a specific purpose, generally dictated by the individual circumstances of the parties involved. What’s the difference between a Long-form and Short-form NDA? Essentially, both are the same document. There is, however, one glaring difference: the Long-Form NDA allows for additional terms that cannot be found in the Short-Form NDA. Why doesn’t everybody just sign a Short-Form NDA? In most cases, particularly in small matters, Short-Form NDAs are perfectly sufficient to protect information that is being transferred between two parties. The Long-Form NDA’s usefulness comes into play when one party has a high degree of specific information to protect. The Short-Form NDA is a “standard” NDA that generally covers all of the important issues at hand. What is a Mutual NDA? A Mutual Non-Disclosure Agreement is simply an NDA in which information is being passed between two parties – and both parties want to make sure that their information is protected. While all NDAs require that two parties sign and agree to them, the difference in the Mutual NDA is that the information being protected will flow both ways. This is particularly useful in business-to-business transactions. What are Employee Confidentiality Agreements? These are essentially Non-Disclosure Agreements that fall under the umbrella of an employer-employee relationship, rather than a business-to-business or business-to-contractor relationship. This form will have the employee agree that they will not share trade secrets or use their position to gain knowledge for the purpose of stealing and sharing it. Many companies have their employees sign these types of agreements as a matter of protocol. What are Business Plan Confidentiality Agreements? When working to generate a business plan, it is sometimes required that a lot of eyes get to see the contents of the plan. If this is the case, the chief author can use Business Plan Confidentiality Agreements in order to ensure that the information contained in the business plan remains privileged and is not shared except for the purposes of working on the business plan itself. What are Confidentiality and Non-Disclosure Amendment Agreements? If an NDA has been found to be insufficient, or the circumstances surrounding the NDA have changed, it may be necessary for both parties to sign a Confidentiality and Non-Disclosure Amendment Agreement in order to update the original agreement to correspond with the new circumstances. This is usually useful when job details change and a business wants to ensure that any new information shared with a contractor or other business will still remain protected. When is it appropriate to use a Non-Disclosure form? As you might imagine, there are a large number of situations that could call for a Non-Disclosure form to be signed. Typically, Non-Disclosure is focused in business interactions. Any type of interaction – employee to employer, contractor to business, business to business, sole proprietorship to individual – could necessitate a Non-Disclosure form of some sort depending on the information shared. Many companies simply have all employees sign an Employee Confidentiality Agreement as standard practice, even if the jobs being filled do not correspond to learning specific trade secrets. Many Non-Disclosure forms are standard practice for this reason, even when dealing with short-term contractors. When starting a business, these forms may be appropriate to use as well. For example, when generating a business plan, the Business Plan Confidentiality Agreement helps keep the idea behind the business a secret, as well as any planned ideas or trade secrets. A Potential Investor Confidentiality Agreement accomplishes the same thing but helps ensure that rival companies cannot pose as potential investors, learn about a business, and then use that information against that same business. Additionally, Non-Compete forms, while they are not the same as Non-Disclosure forms, will typically be included as standard protocol at the same time Non-Disclosure forms are signed for this reason. Use both of these forms when you’re sure you have information to protect and you don’t want it falling into the hands of your competition. What kind of NDA should I make my contractors/employees sign? Depending on your purposes, it will be advantageous to make your contractors sign a standard Short-Form NDA and your employees sign an Employee Confidentiality Agreement. There is no need to get “fancy” and have them sign more documents or documentation than they need to sign in order for your information to be protected. When are Non-Disclosure forms valid? Although each Non-Disclosure form will have its own provisions, these contracts will generally adhere to the same standards as most contracts between two parties. A contract should be signed with the full will and capacity of each party, should represent a lawful agreement, and generally require that both parties are receiving some value from the agreement. This is usually not a problem for NDAs as they are typically signed before a transaction or business relationship takes place. When are Non-Disclosure forms enforceable? Many Non-Disclosure forms can actually outline a timeframe when it is still in effect; once this timeframe expires, the contract itself essentially becomes unenforceable except for any other provisions that don’t exist within the same time frame. What Do Non-Disclosure Agreements Entail? If you’ve never signed an NDA, or non-disclosure agreement, before, you might feel some trepidations about the prospect of signing one. After all, you have a right to free speech! Why should you sign anything that says you can’t go blabber about certain things you know? Well, that agreement exists in order to protect privileged information – and if you don’t sign one, there’s a chance you could miss out on some sort of work or employment. Many companies, especially in artistic or intellectual fields, will require that their employees sign non-disclosure agreements because intellectual property helps keep them competitive. If you were to disclose information to rivals of a company, for example, it could mean a lot of lost business. That’s why non-disclosure agreements can be a normal part of life as an employee. But if you want to sign one without any further trepidations, it will help if you know a little more about these agreements and what they entail. Here’s a brief synopsis of what you can expect from most NDAs. The most essential part of the NDA relates to the sharing of information you learn as a result of the access you’re entitled to after the signing. Confused? Let’s imagine you were recently hired by an IT company. You will likely sign an NDA that says you can’t share confidential information you learn as a result of working at that company. The clause in the agreement that makes this explicitly clear is what we’re talking about here. If there are additional terms to this part of the NDA, be sure to read them carefully, because there’s a good chance they might be unique to the company you’re signing up for. Understanding exactly what you can and cannot say is a crucial part of enforcing the NDA you’ve signed and avoiding any potential legal action against you down the line. There will be more to most NDAs, such as definitions as to which parties are involved, as well as terms under which the NDA will be governed. For example, if you’re taking a remote work project from a different state, you might find out that the NDA you’re signing actually applies to the laws of the home state of those making you sign it. In this case, it’s a good idea to brush up on those local laws, because there’s a good chance they may be different from the laws in your home state. Aside from that, you should be on the lookout for any other parts of the NDA that seem overly protective to you. In most cases, a standard NDA won’t have any of these provisions – and a good human resources representative should be able to make these terms clear. But it’s still important that you read every document that you sign, because you’ll likely be bound by these rules after having signed said document. The more you know about NDAs, the better – and the better you’ll feel about signing them. It’s all a part of protecting each respective party and keeping your professional life professional. You've Signed a Non-Disclosure Form - What are Your Rights? Signing a Non-Disclosure or Confidentiality Agreement is part of standard practice for a lot of new arrangements in business. If you’re starting a job, you might find yourself signing one – this is similarly true if you’re working on a temporary or freelance basis. But while these agreements might be standard practice for some, you’re not going to do very well in business if you simply skim over these forms and aren’t sure of what kind of rights you have. That’s why it’s important to know the structure of many of the non-disclosure agreement forms you’ll find at sites like FindLegalForms.com. In this article, that’s exactly what we’ll explore. Let’s say that you’ve already signed an NDA. The first thing you’ll want to do is go back and review it to make sure that there’s nothing “fishy” in it that you don’t like. Make a copy of the NDA and be willing to highlight certain parts so that if you’re going to ask a lawyer (or the other party) about the agreement, you can easily refer back to those sections. You’ll likely notice that you don’t have certain legal “rights” after you’ve signed an NDA. Most of these limitations will extend to the actual use of the information you’ve received that the NDA is referring to – such as confidential information about how a business runs, including its passwords and other sensitive information. That’s to be expected, and if you’re a good citizen, you never planned on sharing that information anyway. The ability to use learned, non-sensitive information with other companies – though this is not always the case, it often makes the NDA you signed a form of “non-compete” form. You’ll want to avoid signing these because it will limit your career opportunities in the same field. Portfolio arrangements and resume enhancers. Sometimes the limitations of an NDA can mean that you don’t get to use a lot of the work you’ve done in a public work portfolio or as a resume enhancer. Sometimes, however, the NDA stipulates that if you obtain written permission for these uses, you can still find ways to implement them into your portfolio and/or resume. But it’s important to remember that NDAs aren’t only signed between businesses, employees, and/or consultants - an NDA can really be used for any purpose. Given how easy it can be to download a quick NDA from a site like FindLegalForms.com, you’d be surprised just how widespread these documents are becoming. Sometimes, you can use direct contact with an employer or contractor to work out a modified NDA or a simple verbal arrangement (though verbal arrangements are not encouraged, of course, for large projects or extended employment agreements). Don’t limit your rights if you don’t have to – it’s important that you realize you can simply ask to have the NDA modified in some way and many times, if the employer is already willing to hire you, they still will because they’ve already made a commitment to that decision. In this day and age - you might call it the Information Age - there is nothing so valuable as information. Being able to use, sort, present, and organize information is more important than ever simply because so many of the other things we have in life are so well-handled. Information is valuable enough to drive companies like Google to the top - after all, what was Google if not a dealer in information? If you’ll forgive the verbose introduction, you can allow us to explain why we bring up information: the subject here is non-disclosure forms, a way of controlling information and making sure that information about us that is vital to maintaining our security and our property never gets out. If you’re a company that has to grant inside access to a freelance contractor so they can do their job, you’ll want them to sign a non-disclosure form. This will help guarantee your information’s safety as well as help you sleep better at night. Let’s take a look at how non-disclosure forms make this happen. Quite simply, a non-disclosure form will act like a confidentiality agreement: if you’re the one who’s been presented with one, then you’re probably going to get access to a certain type of information that most people wouldn’t have access to. This means that you can expect a certain level of privacy-seeking on the part of the other party, and that’s exactly what the NDA is all about. When you sign this NDA, you’re essentially signing a confidentiality agreement that is limited to the information you use and have access to for the duration of the non-disclosure agreement. There can be more to the story, however, and that’s why it will be important to make sure that you read the NDA in full before you sign any. If you’re a contractor who frequently has to sign NDA forms in order to do your job and make sure the client’s information is protected, then you’re probably used to a wide range of NDA forms. As common as NDA’s can be, you’d be surprised just how many different types of verbiage and language you’ll see in them. That’s why it’s important to review each non-disclosure agreement individually so as to fully understand what each project and each contract entails. Non-disclosure agreements will typically have the following provisions in them: ? A basic definition of the parties involved - you’ll often see these places left blank because people download NDA forms online and simply fill in the details as each contract requires. Throughout the rest of the NDA, you’ll find that the “nickname” each party was given will be the name used. This is a way of being able to make plenty of copies of an NDA before filling them out. ? The terms of the NDA, including what information will be regarded as sensitive and what the responsibilities of both parties are. An NDA might define, at this point, the different obligations one party has in terms of providing the other party with information. Similarly, the contract will use this opportunity to detail the confidentiality responsibilities the receiving party is obligated to. There are more aspects to an NDA that you can find simply by reviewing one for yourself - and you won’t have to look very far to find one online.